Whereas many cities count their history in decades or centuries, Istanbul counts it’s in millennia. During the last two, there have been 6 bridges crossing the Golden Horn, and the first one was built during the reign of Emperor Justinian that lasted from 527 to 565! Istanbul is a city connected by the water. The Golden Horn separates the main areas of Sultanahmet and Karaköy. 1500 years ago there was a bridge connecting the two parts of the city located close to the area near the Theodosian Land Walls at the western end of the city. It was the only one to span the Golden Horn until the early 19th century. That does not mean that none had ambitions to build a bridge earlier. 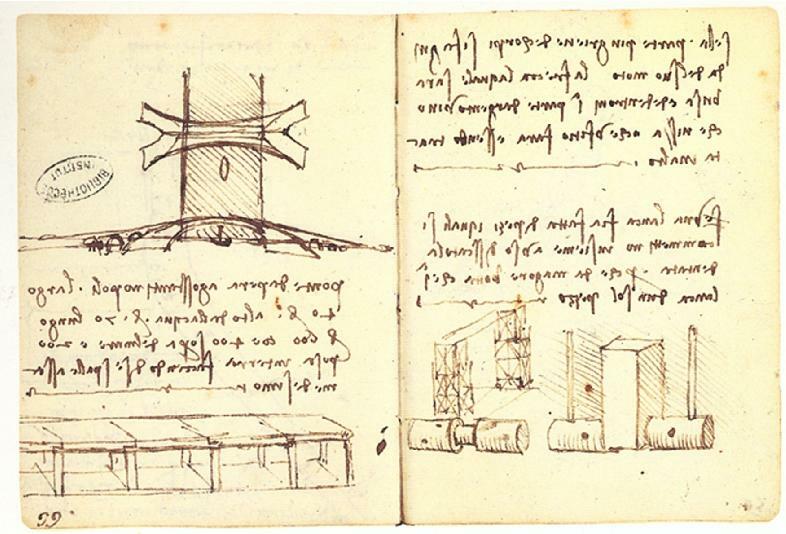 The famous inventor and artist Leonardo da Vinci designed in 1502-1503 a bridge with an unprecedented single span 240 m long and 24 m wide bridge for the Golden Horn, which would have become the longest bridge in the world of that time if it had been constructed. The sultan Bayezid II did, however, not approve the plans. A smaller version was constructed as a pedestrian crossing over a motorway near Oslo, my hometown. 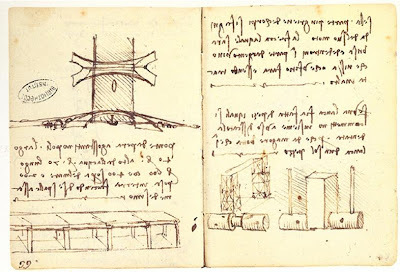 Later another famous Italian artist, Michelangelo, turned down another similar commission. 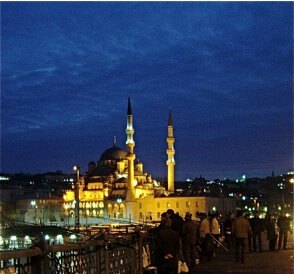 Cisr-i Cedid bridge was the first bridge located near the current Galata Bridge. It was built in 1845. The third Galata Bridge, completed in 1875, was built by a British firm G. Wells. It was used until 1912, when it was pulled upstream to replace the now genuinely old Cisr-i Atik Bridge. The fourth Galata Bridge was built in 1912 by the German firm MAN AG. It was badly damaged in a fire in 1992 and towed up the Golden Horn to make way for the modern bridge now in use. 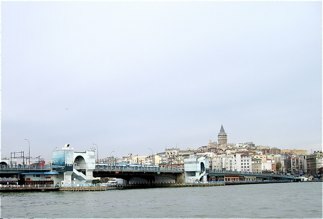 The fifth Galata Bridge was built by the Turkish construction company STFA just a few meters away from the previous bridge, between Karaköy and Eminönü, and completed in December 1994. As a tourist you’ll have to cross the Galata Bridge in order to get to the old part of town. Under the bridge you will find several restaurants where you may enjoy a meal with a stunning view to the waterways. 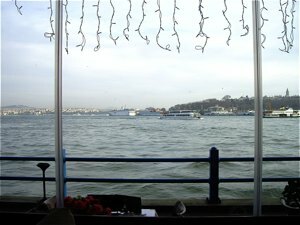 I will also recommend a ferry ride up the Golden Horn or even up the Bosporus.